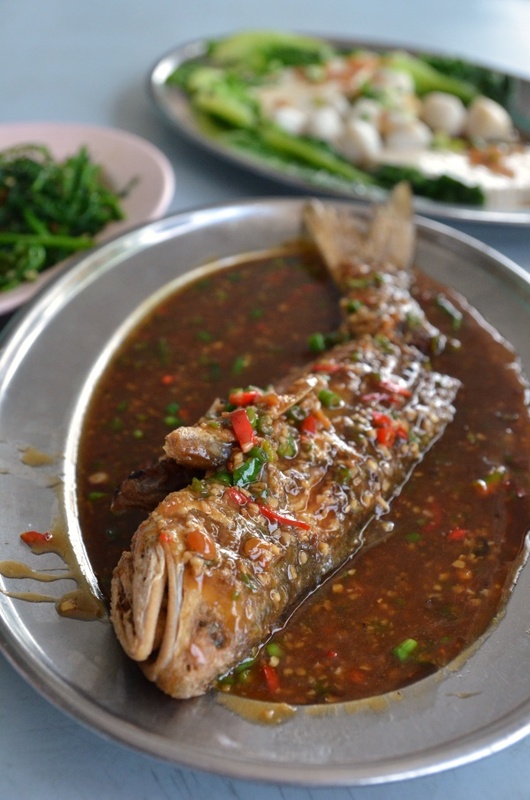 The signature Chili Fish at Sinki Restaurant is essentially a whole grouper deep fried then served with a starchy sauce concocted from bean paste, minced garlic, chopped scallions, red chillies and ‘cili padi’ (bird’s eye chillies; that lent the dish with some heat). What a way to tie in the first homecoming (after a relatively short stint in Singapore actually) with news of the tragic MH 017 that has affected us more than all the other aviation tragedies combined. This and the still unresolved MH 370 case a couple of months back have greatly impacted how we civilians, or on a grander scale; humans, connect as one – united in prayers despite the differing backgrounds, political views and across the continents. Still grieving over the expected loss of lives, allow me to break the solemn mood with a story of my brief sojourn to Dengkil earlier today; immediately after touching down at KLIA2. 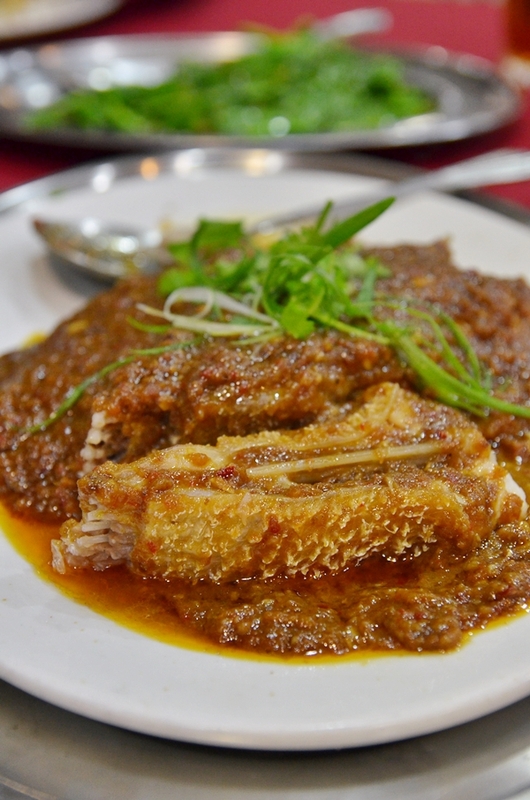 Steamed Saito Fish (Wolf Herring) Belly in Spicy Bean Sauce (MYR9.00/USD3 for 100g; this portion for 3 – 4 pax was priced at MYR72.00/USD24) – Very fresh catch; the prized belly parts are used in steaming to a velvety smooth/gelatinous texture; then liberally doused in a spicy bean sauce. 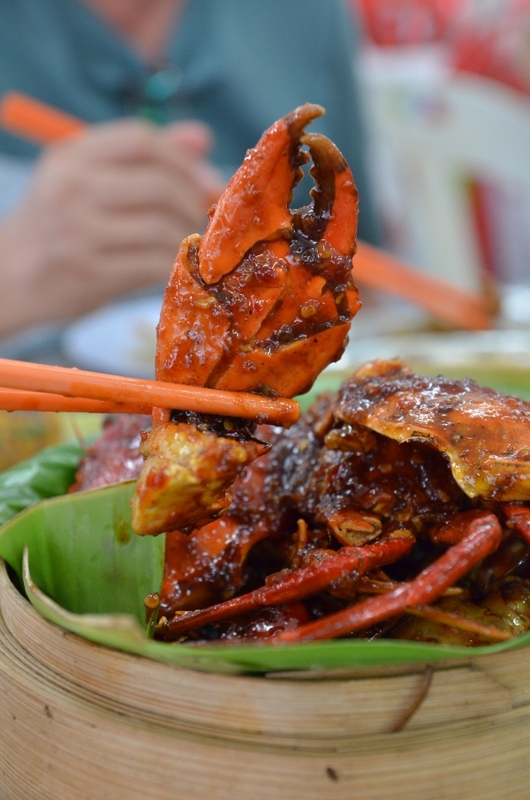 Pasir Puteh hosts an astonishing number of noteworthy Chinese eateries; from small hawker stalls to coffee shops and food courts, wet markets with delicious finds to full-fledged restaurants and then some. 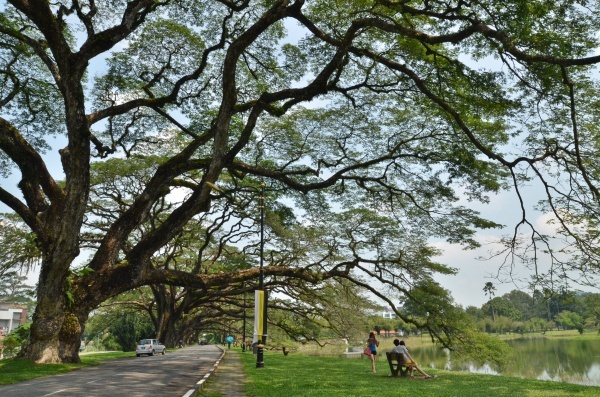 But more importantly, spending the first 12 years of my life growing up within this neighbourhood has created strong memories in my mind that last until this very moment. Back for the lengthy weekend on a break; my initial plan to dine in Bercham (I’ll leave that to Sunday instead) had to be shelved at the last moment; giving way to a quick feast in Pasir Puteh for we had other errands to run in tandem. And so, this slightly rusty food hunter’s mind connected into overdrive mode and came up with few solutions; either a fish ball noodles fest or one of the many ‘chu char’ places around the neighbourhood. Since I have yet to find one exceptionally good steamed fish place in Klang Valley (not that I invested much time and resources into finding one, by the way), the craving for a serving was ever so strong. Thus, off we ventured to Restoran Ikan Air Tawar Chai Chee in Shatin Park. The name’s unfamiliar? Read on. At times, I got stunned. Unaware of really outstanding choices around my hometown, I randomly point them to ‘chu char’ restaurants including the diners like Mun Choong, East Ocean or even Unique (yeah … shocking I know). 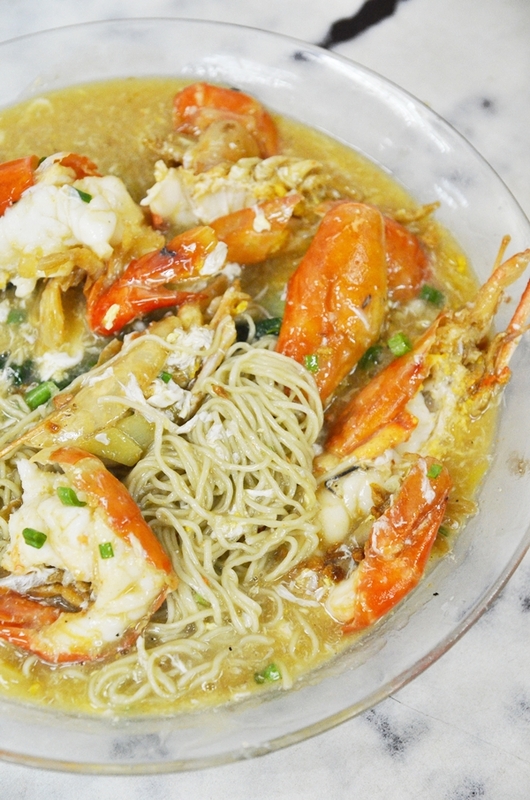 Ipoh, unlike towns like Sitiawan or even Kuala Sepetang isn’t as well known for fresh seafood. But as time goes by (and the ‘makan’ sessions got more intense), the discoveries of more viable options like Wah Chai, Lucky Seafood, Rasa Lain and Crab House lent more weight to the recommendations. Braised Egg Noodles with Freshwater Prawns (Sang Har Meen) @ RM55/USD18 for three pieces of large, succulent and fresh prawns; really, really good stuff. 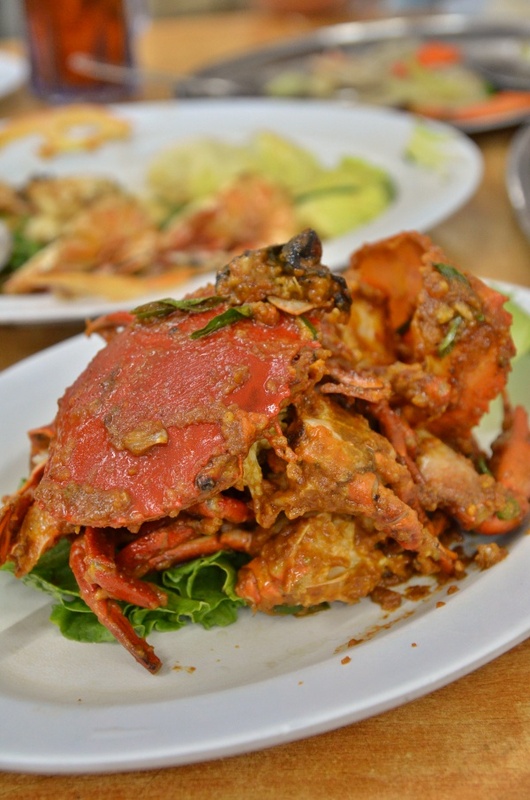 Aaah… that blissful moment of returning to a place where shared memories are built within the bonds of a family; and a long, enduring 30 years of legacy proving themselves to be worth the mettle time and again; Lucky Ipoh Restaurant dishes out seafood beyond your ordinary crabs, prawns and fishes. It has been on the to-blog list for years now. I daresay, since this blog was started way back in 2008. You see, Lucky Restaurant has this imposing aura of an intimidating outlet charging beyond an arm and a leg when it comes to fresh seafood. No joke. It’s not uncommon to see customers driving up in shiny BMWs, Audis and Mercs just for a taste of their extravagant seafood dishes; cooked up in more imaginative ways than you would normally expect. Fook Sing, Foh Sing and now Fooh Singh (seriously?! ), this landmark of an over-the-top coffee shop in Ipoh Garden East, tucked in the midst of a row of similar eateries (either they’re out for each other’s blood or it could be a purely symbiotic bond) has seen it all. At least for me. 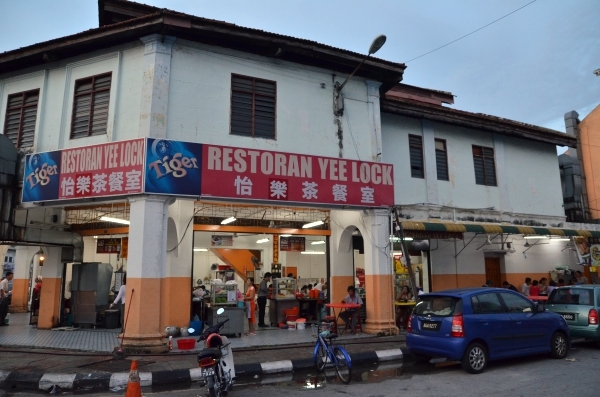 I grew up practically having late night suppers with friends and schoolmates here way before the first Old Town White Coffee arrived at the scene, or even Coffee Bean and definitely a decade or so before Starbucks made their virginal appearance at Ipoh Parade. Now you know from which era I was from. 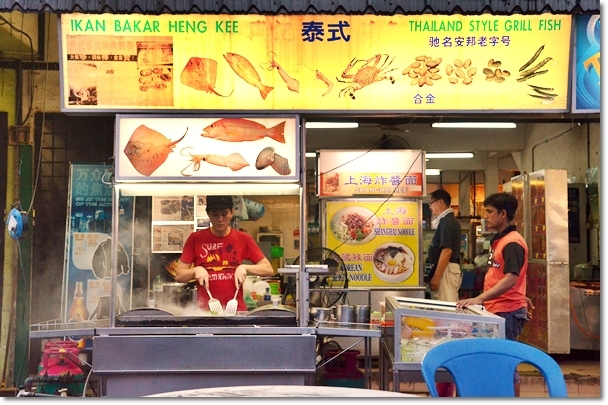 And on this first day of September, a day post-Independence Day celebration, allow me to forget my water woes by sharing this story of an ‘ikan bakar’ or grilled fish stall named Heng Kee; the ONLY reason why you should consider paying Fooh Singh a visit.